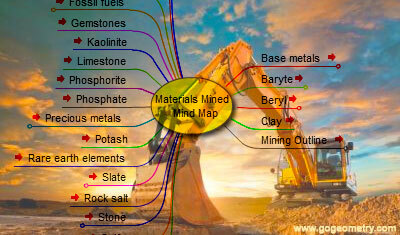 Mining Operations: Materials Mined (extracted from the earth), Interactive Mind Map. Elearning. This mind map or mindmap is an image-centered diagram that represents connections between various topics and concepts related to materials that are extracted from the earth by mining. Source: Wikipedia: Outline of Mining.